Interview with Jason LaMotte, director of the Irish short story adaptation, The Terms. Interview with French director Lewis-Martin Soucy and his 10 year journey to make his Spanish comedy Talking Dog For Sale, €10. 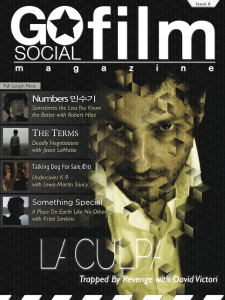 The stories of Kristi Simkins, director of Something Special and David Victori, Spanish director of La Culpa. Some family feuds are easily settled – others require extreme terms. Check out all this short film action on your ios or android device today!